At Platinum DJ Services we are professional. We understand that hiring a DJ is a big decision and your DJ service needs to be reliable, knowledgeable and organized. We want the DJ to be the last thing on your mind when planning your event. What good is hiring a DJ if they don't play the music you want to hear? The equipment means nothing if the DJ doesn't listen to your opinions and accommodates your requests. Not every client wants the same type of music or style of DJ. 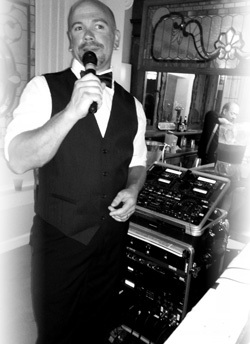 Platinum DJ Services recognizes the importance of tailoring our service to exceed your individual expectations. Our goal is 100% Bride and Groom satisfaction. Platinum DJ has been in business since 2010 and we have many satisfied customers.